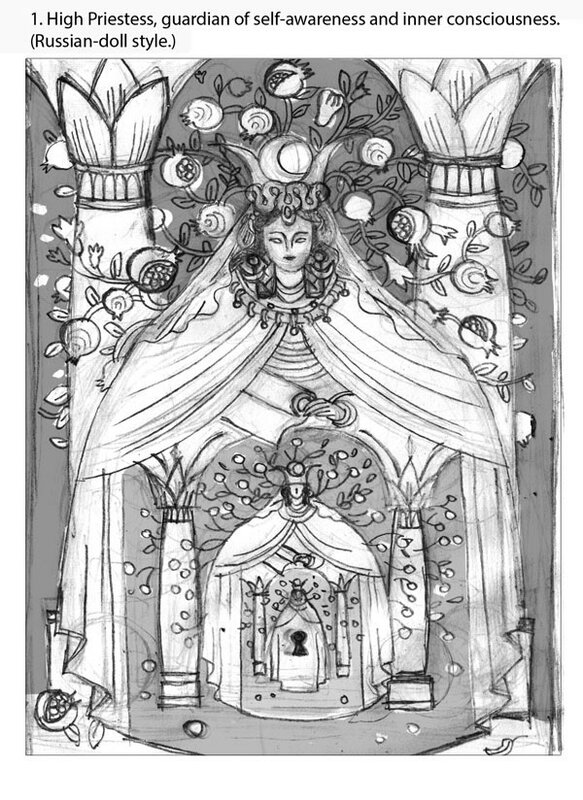 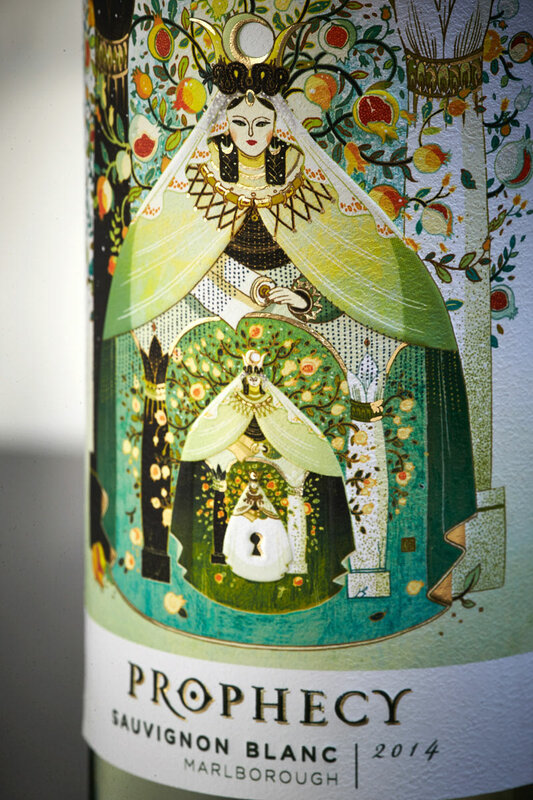 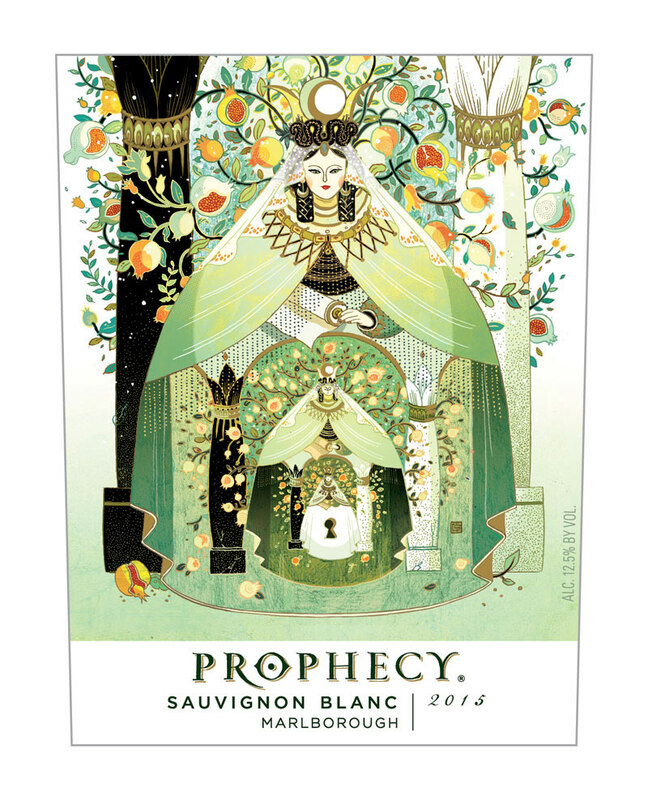 Sauvignon Blanc: The High Priestess - she is the embodiment of wisdom as well as the guardian of the hidden consciousness. 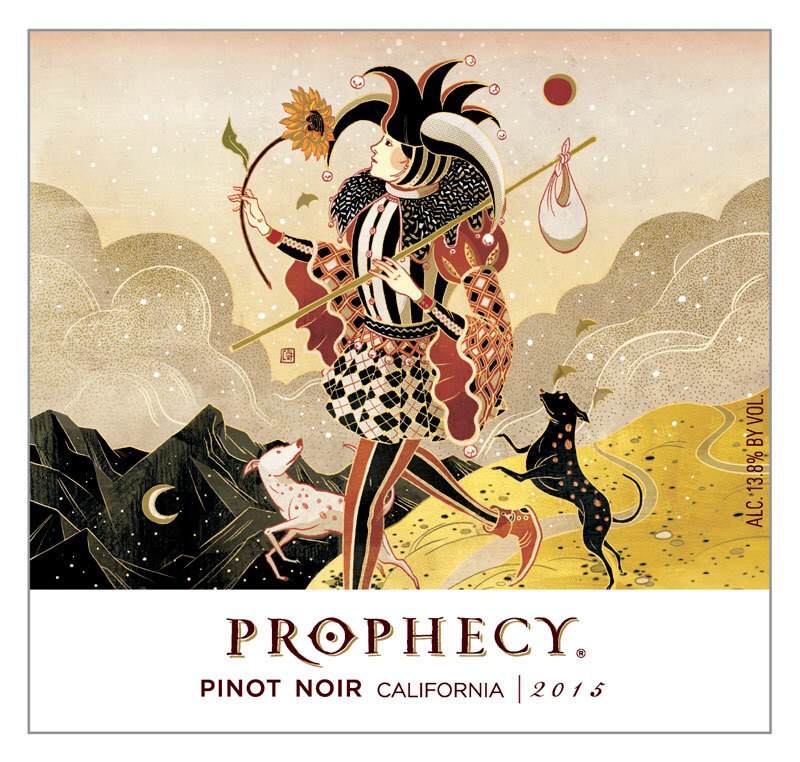 Pinot Noir: The Traveler - he has an intense curiosity of the world. 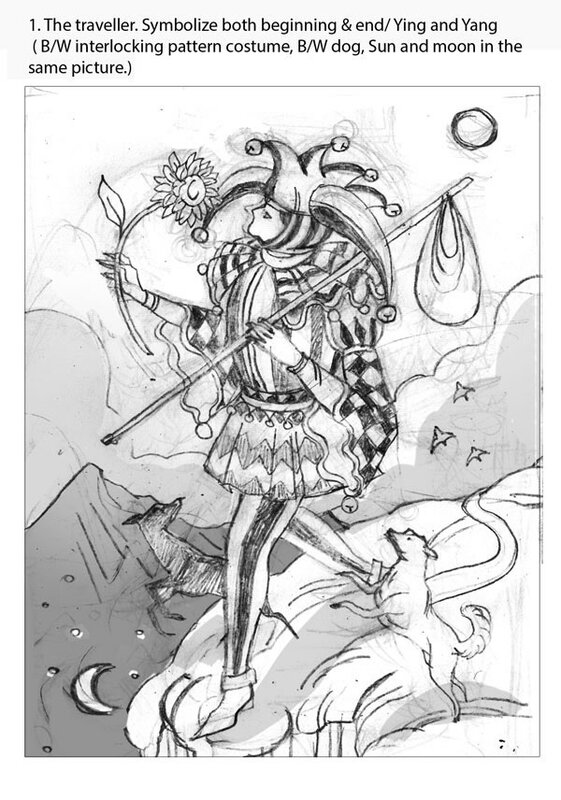 Every journey, with its endless possibilities, is both a start and an end to him. 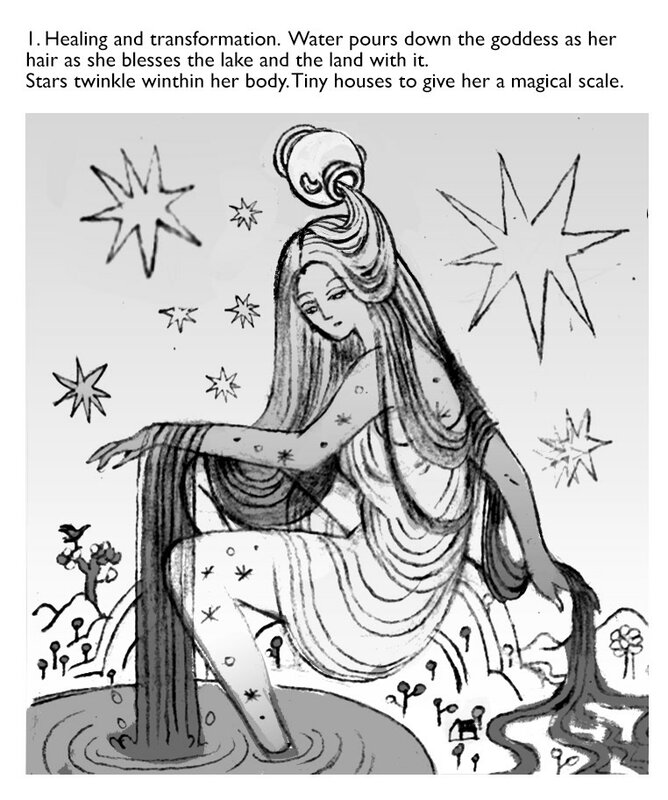 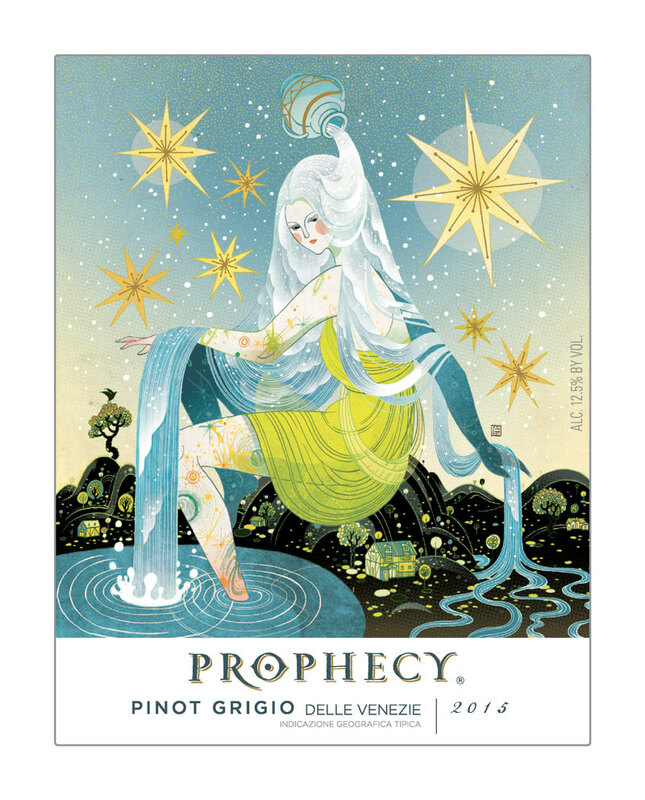 Pinot Grigio: The Star, she brings the universal blessings. 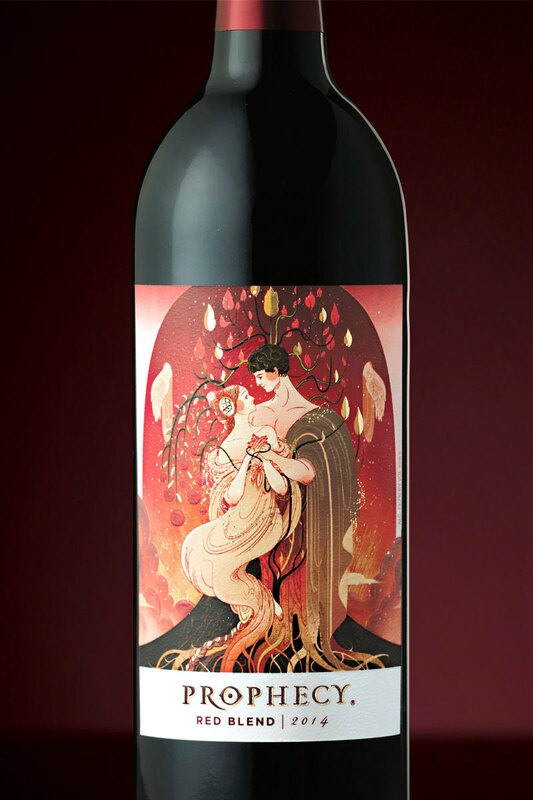 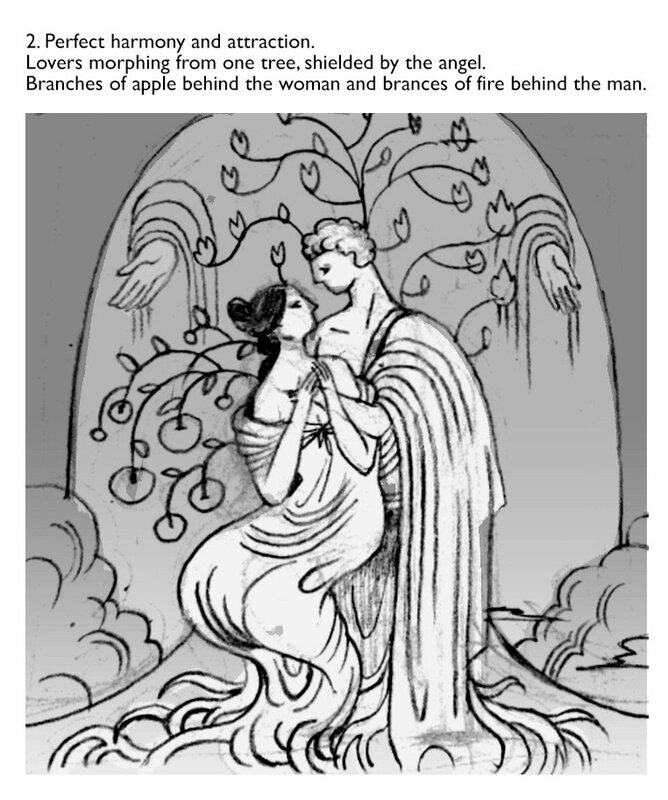 Red Blend: The Lovers, the couple are bonded with love and passion. 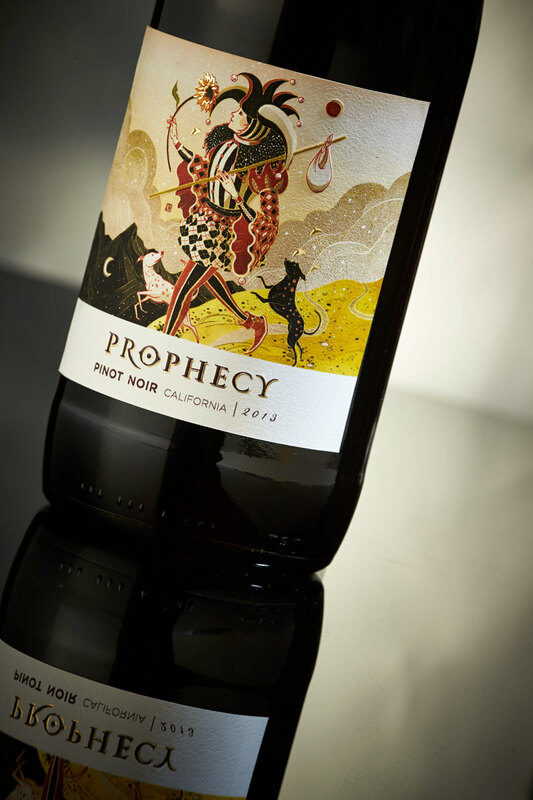 Big thanks to the Prophecy team for being so amazing to work with! 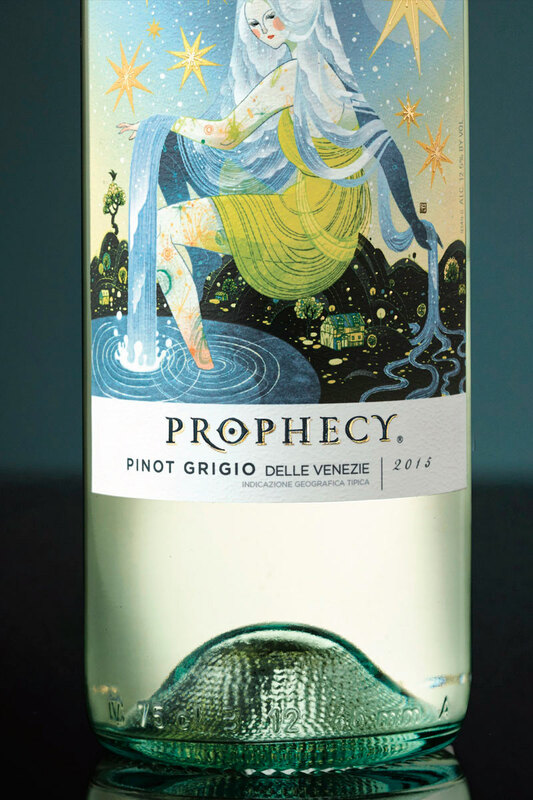 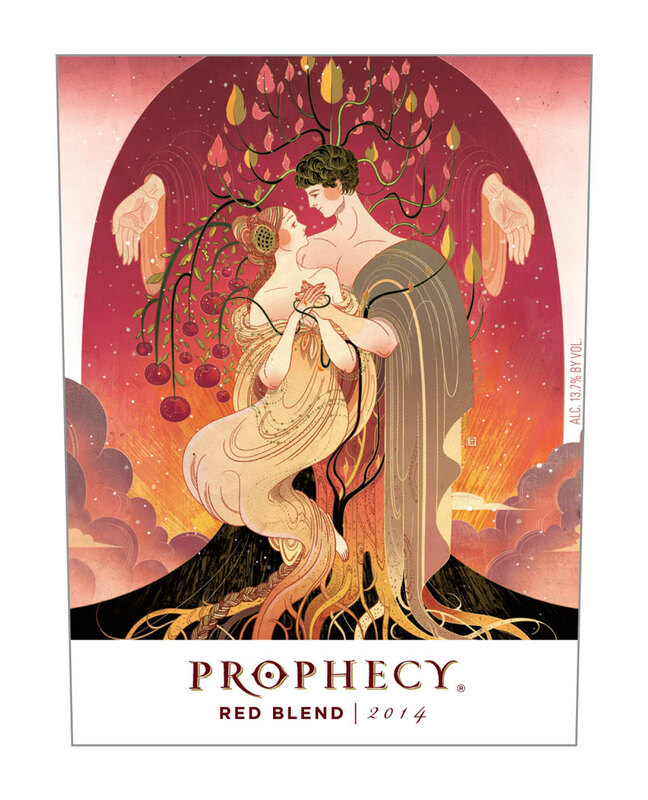 I have had the great pleasure of working on a new line of wines called Prophecy. 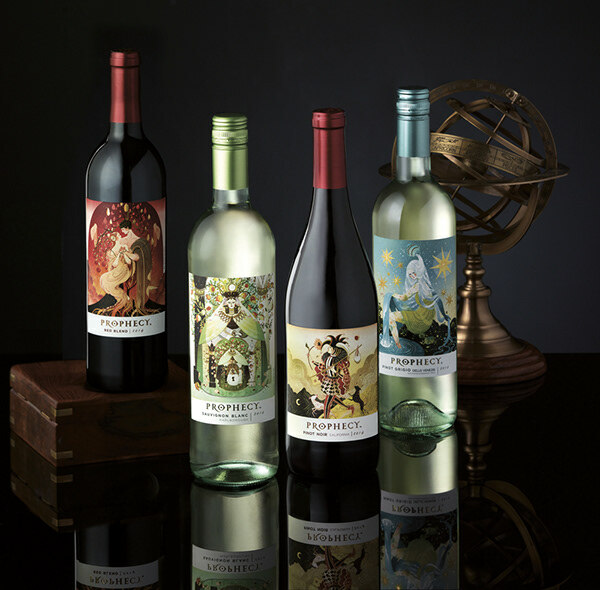 They are available in most American wine stores so perhaps you have sighted them in the wild before already.